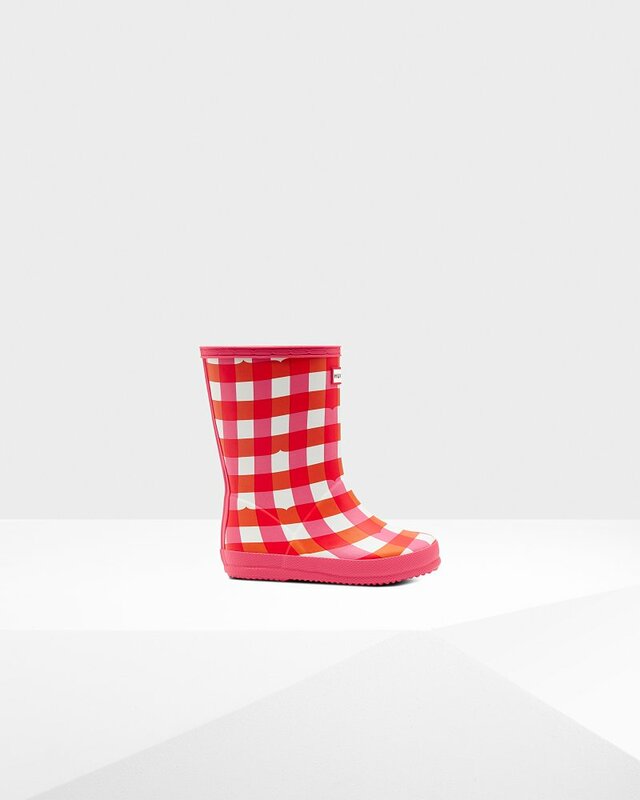 Finish in a seasonal pink and orange check, this kids rain boot is perfect for puddle splashing. Taking inspiration from the Great British seaside, the Arcade Pink Gingham print features bright fairground-esque colours, and offers a nod to our rich Hunter heitage with the iconic Hunter Moustache hidden within the print. Handcrafted from natural rubber, a flat sole and rounded toe gives little feet room to move and the soft cotton lining ensures complete comfort for every adventure.